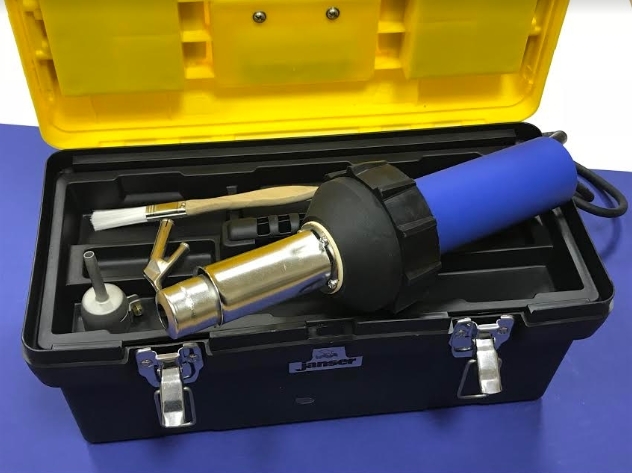 This new addition to our range of vinyl welding equipment is supplied with a standard nozzle, speed nozzle, cleaning brush, all in a sturdy plastic toolbox. 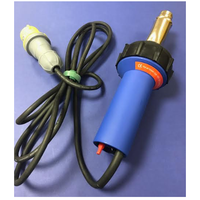 Spare parts such as heat elements for our vinyl weld guns are held in stock, and please see our website and catalogue for nozzle options available. For more information about our WELD-PRO BLUE, please view the product pages and submit an enquiry, or feel free to leave a review or share, both a 240v and 110v welder are available. We supply a huge range of professional flooring machinery and tools, with special discounts available for appointed Janser distributors.